Our 1" MMA tiles are constructed of high density closed cell EVA foam which makes them very shock absorbent while being water/mold/mildew resistant and easy to clean. Our 1" MMA tiles come with 2 edge pieces, are easy to install, and typically ship the same or next business day. *** Note: Foam products can be punctured by sharp animal nails, rough use, high heels, and moving furniture. Our warehouse recycles boxes and may ship tiles in various tile counts and box sizes to complete orders. 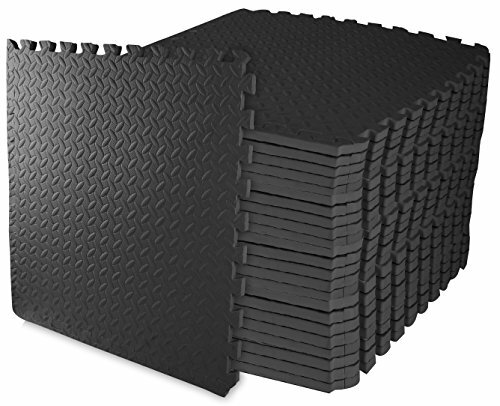 Material: Closed cell EVA foam Size: 24" x 24" x 1" (Note: Tiles do overlap 1" when locked together) Weight: ~2.4 Lbs/tile Recommended Uses: Our 1" MMA tiles are frequently used for martial arts, MMA, lightweight home gyms, mats for aerobic/cardio/plyometric gyms, gymnastics, and children's play mats. Description: Our Tatami tiles offer a thick interlocking foam product designed for use in areas where shock absorption is important. Our Tatami tiles provide a unique surface appearance intended to mimic Japanese Tatami mats. Our Tatami tile is waterproof, easy to clean and typically ship the same or next business day. *** Note: Foam products can be punctured by sharp animal nails, rough use, high heels, and moving furniture. Our warehouse recycles boxes and may ship tiles in various tile counts and box sizes to complete orders. Material: Closed cell EVA foam Size: 24" x 24" x 19mm nominal (Note: Tiles do overlap 1" when locked together) Weight: ~2 Lbs/tile Recommended Uses: Tatami Tiles are designed to provide a safe and shock absorbing training surface for a variety of activities including grappling, Judo, MMA, Jiu Jitsu, Karate, Taekwondo, Goza, Aikido, and as Dojo flooring. 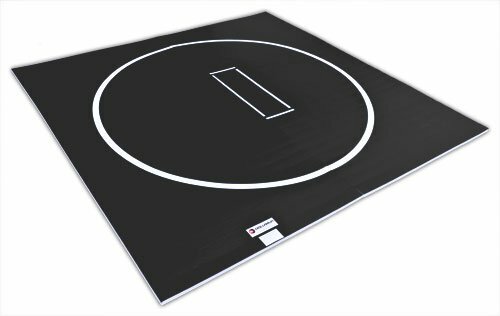 Description - Our durable Home Wrestling Mats are perfect for beginners practicing their moves or for general fitness & exercise in the home. 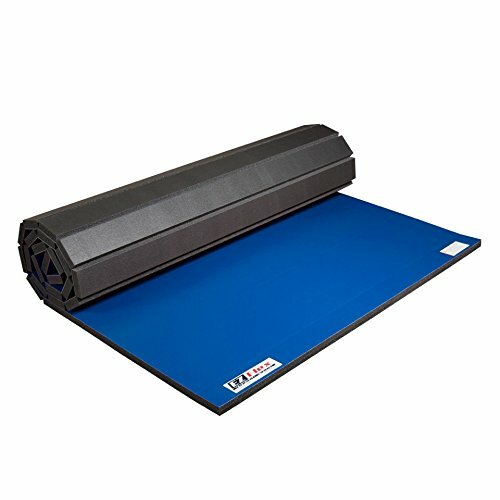 Lightweight and portable, these roll out mats can easily be moved from space to space, allowing you to practice in the environment best suitable for your needs. The built in roll up system allows for quick and easy installation, transportation, and even easier storage when not in use. 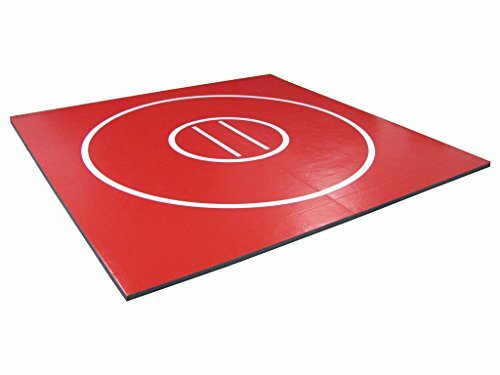 Home Wrestling mats are also shock absorbent and the easy to clean vinyl top surface is ideal for use inside the home, basement, garage, and even on the go. Note - If ordering more than one mat, there may be slight variation in surface color shade, texture, and nominal size due to the production process. Material - Crosslink Polyethylene Foam bonded to a Tough 24 oz. Vinyl top. Size - 5' x 9' and 5' x 10' mats are available. Thickness - Available in 1-1/4" or 1-5/8" thicknesses. 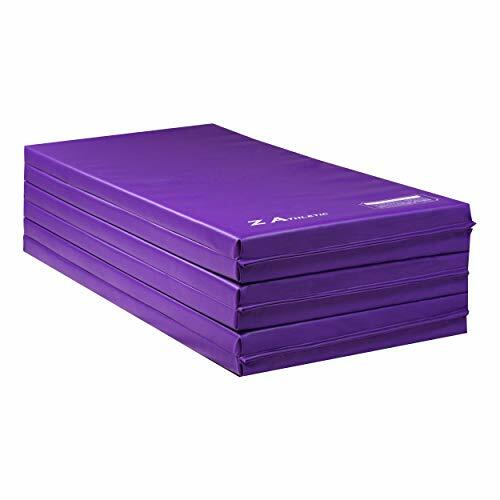 Weight - 5' x 9' mats weigh ~22 lbs each and 5' x 10' mats weigh ~23 lbs each. 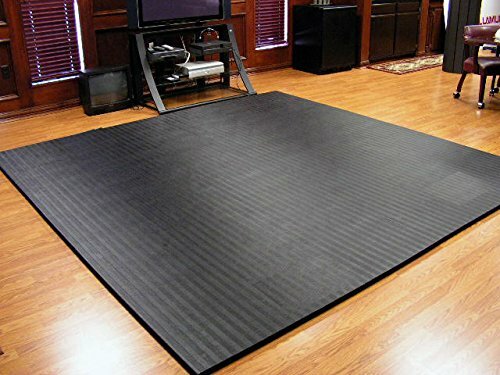 Recommended Uses - Home Wrestling Mats are recommended for home practice judo mat, karate, home wrestling mat, can also be suitable for some low impact floor exercises and workouts and more. PROFESSIONAL DESIGN – We’ve been designing and manufacturing gymnastics mats for over 20 years and our products are used in homes and gyms across the country. We know quality! 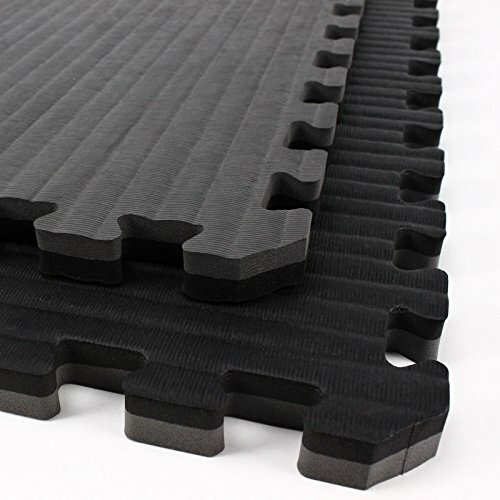 MULITFUNCTION – These mats are perfect for gymnastics (home, competitive, or commercial use), Pilates, dance, parkour, weight training, general exercise, cheerleading and so much more! EXPANDABLE SIZE- Hook and Loop connections on all four sides allows for side to side AND end to end connection to other mats for extended gymnastic runs or customized use. DIMENSIONS – We only sell at least 2in thick mats for the highest quality and firmest support. 4ft x 12ft x 2in unfolded. 6 panels each 2ft wide, so 4ft x 2ft x 12in folded. GUARANTEED DURABILITY – Made of high-density cross-linked polyethylene foam covered in a high quality 18oz vinyl. We meet or exceed industry standards in all categories. Two year warranty. SAFE, NON-TOXIC, & EASY TO CLEAN - Lead free and meets all CPSIA standards. This easy to clean nonporous vinyl is mildew and puncture resistant. Simply clean with washcloth, soap and water. This Z-Athletic brand item comes with a 2-year factory warranty. 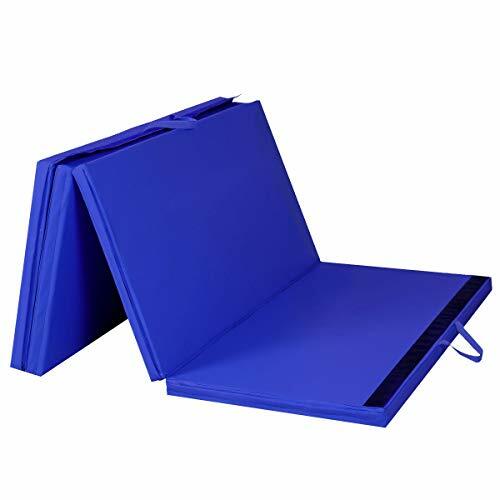 If your item is damaged during shipping or any park breaks within 2 years of purchase, please contact Z-Athletic, Inc.
Tri-Fold Folding for easy storage and transportation, Velcro on two edges to connect end to end, excellent for Tumbling, Pilates, Stretching, Yoga, Martial Arts, Gymnastics, and Wrestling. The durable PU leather helps you stay cool and dry during Exercise and will NOT puncture. Stays in place (Non Slip) keeping you safe and uninjured. The firm PU foam is great for taking away impact from your Knees, Back, and Joints. It even makes a great Mat for the kids to roll around. Ranging in five different colors and two different sizes this mat will cover all your Workout needs. Professional design – We've been designing and manufacturing gymnastics mats for over 20 years and our products are used in homes and gyms across the country. We know quality! 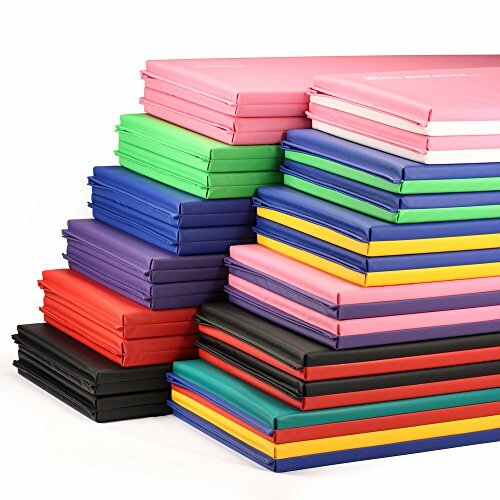 multifunction – these mats are perfect for Gymnastics (home, competitive, or commercial use), Pilates, dance, Park our, weight training, general exercise, cheerleading and so much more! 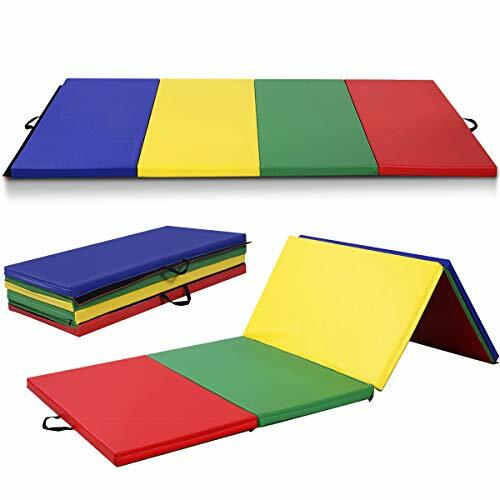 Expandable size- hook and loop connections on all four sides allows for side to side and end to end connection to other mats for extended Gymnastic runs or customized use. 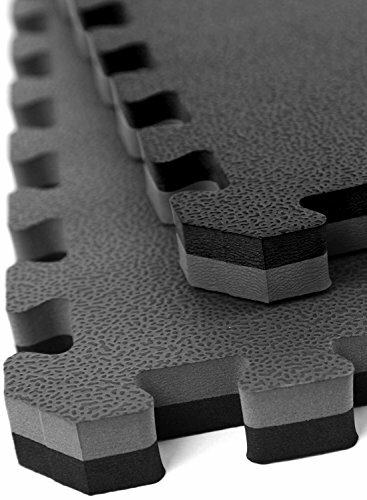 Dimensions – we only sell 2in thick mats for the highest quality and firmest support. 4ft x 8ft x 2in unfolded. 4ft x 2ft x 8in folded. 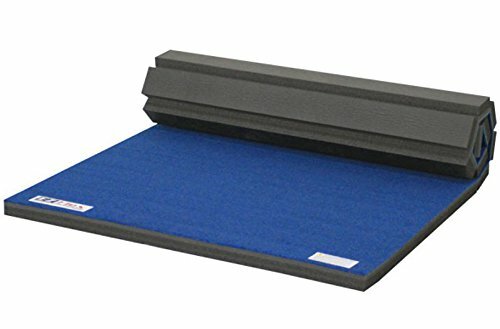 IncStores Cheer Mats 4' x 6' x 2"
Introducing the Dollamur Sports Surface Flexi Roll product innovation providing the wrestler with a durable practice and competition surface built to withstand repeated compression. 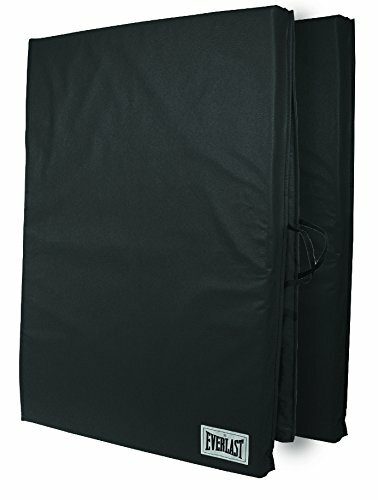 Manufactured using an athletic grade closed cell, cross linked polyethylene foam providing maximum shock absorption and a 24oz vinyl surface that will not crack or peel and never needs re-conditioning. Special cloth backing allows the vinyl to be heat laminated and bonded directly to the closed cell foam, making this finished product perfect for shock absorption, extra speed and resiliency in a high performance sport. The smooth vinyl is treated with antimicrobials to guard against odor-causing microorganisms and microbial deterioration. It is the same materials used to manufacturer Dollamur's full size practice and competition mats used in many prestigious events worldwide. Meister Premium Mat Tape is high quality, dependable mat tape to keep mats together and to eliminate dangerous gaps. 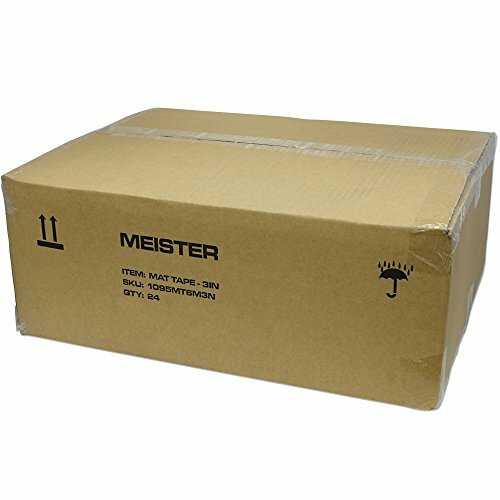 Designed for durable flat surface mats such as wrestling mats, grappling mats and other vinyl mats, Meister Mat Tape is engineered to work.The unique tacky adhesive used in this tape sticks strongly but comes off clean, leaving no residue on your mats. Once applied, Meister Mat Tape can be adjusted, reapplied or even reused without losing sticking power. Transparent (clear) look won't obscure mat designs.Sold in 84' rolls, one roll can cover both seams in traditional 42' and 38' wrestling mats. 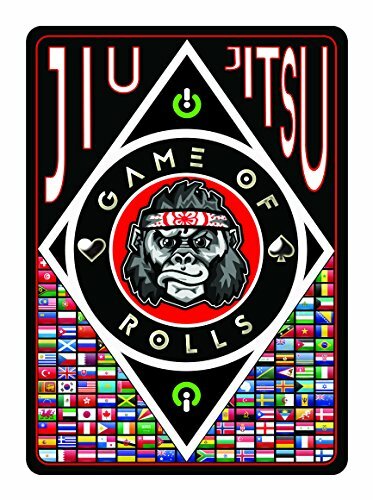 Purchase in packages of 3 rolls or in cases for volume discounts - ideal for schools and tournament organizations that regularly move mats. Please note: this tape is not for use with open-cell foam mats such as yoga mats or other non-durable surface mats. Not for use on Tatami or other irregular surface mats. 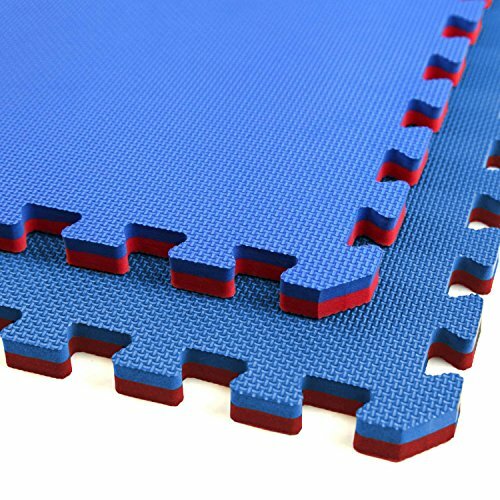 Our Jumbo Soft Tiles are constructed with high density closed cell EVA foam designed specifically with high impact play and workouts making them perfect for any playroom, martial arts studio, MMA gym, Judo, and much more. Our Jumbo Soft tiles are water proof in addition to being mold and mildew resistant and easy to clean. Note: Our warehouse recycles boxes and may ship tiles in various tile counts and box sizes to complete orders. 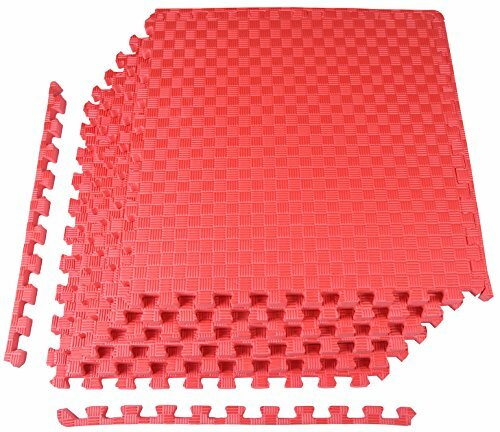 Material: Closed cell EVA foam Size: 24" x 24" x 3/4" (Note: Tiles do overlap 1" when locked together) Weight: ~2.0 Lbs/tile Recommended Uses - Our Jumbo Soft Tiles are regularly used in children's playrooms, martial arts studios, home gyms, and as a lightweight and portable mat solution for various activities. Introducing the Dollamur Sports Surface Flexi Roll product innovation providing the martial artist with a durable practice and competition surface built to withstand repeated compression. Manufactured using an athletic grade closed cell, cross linked polyethylene foam providing maximum shock absorption and a 24oz vinyl surface that will not crack or peel and never needs re-conditioning. Special cloth backing allows the vinyl to be heat laminated and bonded directly to the closed cell foam, making this finished product perfect for shock absorption, extra speed and resiliency in a high performance sport. The smooth vinyl is treated with antimicrobials to guard against odor-causing microorganisms and microbial deterioration. It is the same materials used to manufacturer Dollamur's full size practice and competition mats used in many prestigious events worldwide. 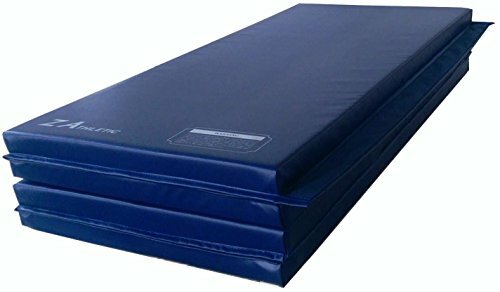 Compare prices on Grappling Mats at LiveSaler.com – use promo codes and coupons for best offers and deals. We work hard to get you amazing deals and collect all avail hot offers online and represent it in one place for the customers. Now our visitors can leverage benefits of big brands and heavy discounts available for that day and for famous brands. We try to makes comparison shopping easy with Product Reviews, Merchant Ratings, Deal Alerts & Coupons. Find Deals, Compare Prices, Read Reviews & Save Money.